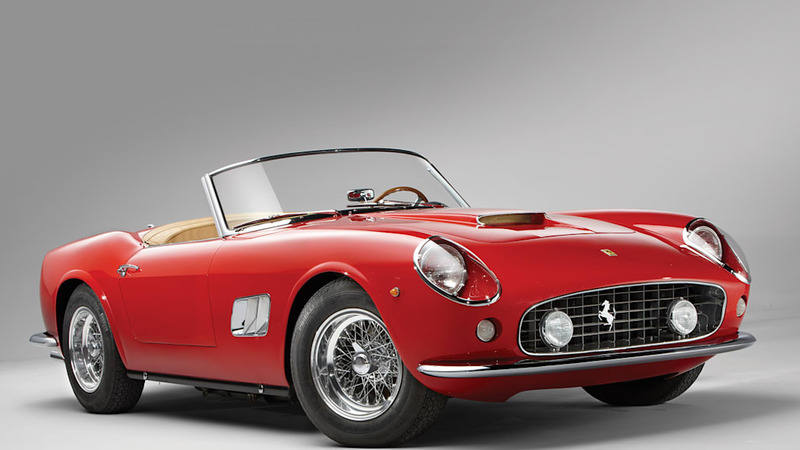 Those wanting to add a 250 GT California Spyder to their collection (and have the means) will have a chance later this month in Monterey, with a 1962 SWB (Short Wheel Base) model crossing the block at RM Auctions' event. One of just 37 SWB cars with the more desirable enclosed headlight design, the car is finished in Rosso Corsa paint and has a tan leather interior. 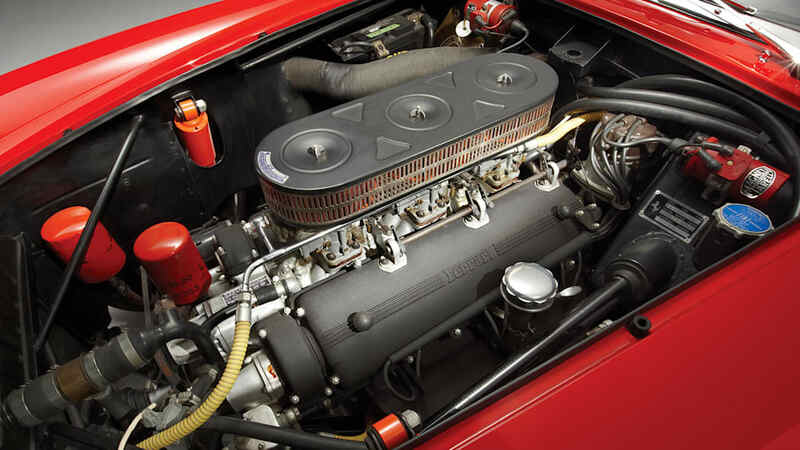 Under the hood is Ferrari's legendary 3.0-liter V12, the same powerplant in the 250 GTO. RM estimates the value of the car to be in the $7.5-9 million range. Scroll down to read the official announcement from RM, and check back in a few weeks for our complete Monterey coverage including results from the auction. BLENHEIM, Ontario (August 2, 2012) – RM Auctions, the world's largest collector car auction house for investment-quality automobiles, is honored to announce the addition of a stunning 1962 Ferrari 250 GT SWB California Spyder, chassis 3119 GT, to its Monterey sale, August 17–18 in California. 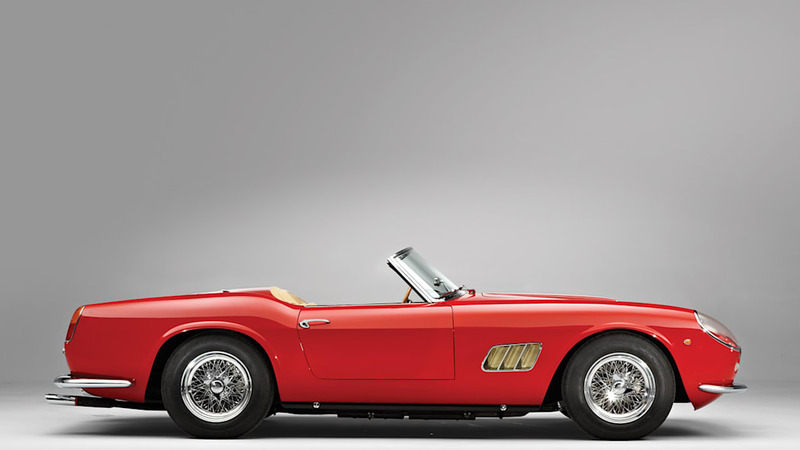 Considered one of the most beautiful and desirable Ferraris in existence, the California Spyder is the epitome of prestige and magnificent styling, featuring stunning bodywork designed by Pininfarina and masterfully executed by Scaglietti, all married to Ferrari's iconic 3-liter Colombo V-12. 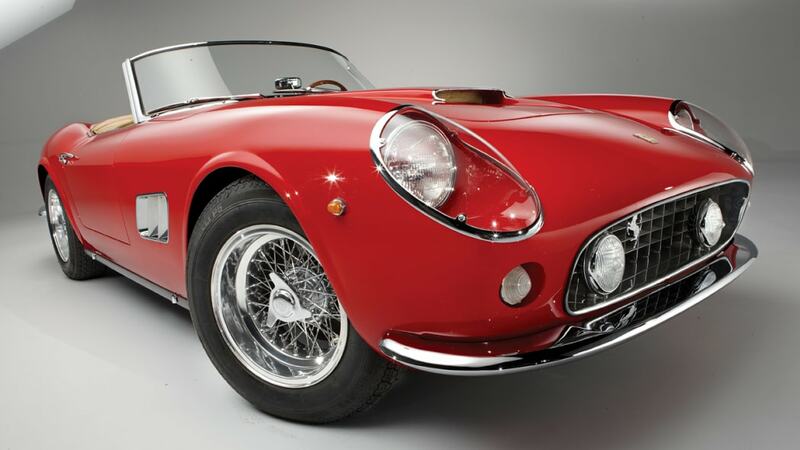 In total, just over 100 California Spyders were produced between 1958 and 1963. The example on offer is one of only 37 short wheelbase variants completed in the highly desirable covered headlight configuration, ranking it among the most attractive and desirable of all. 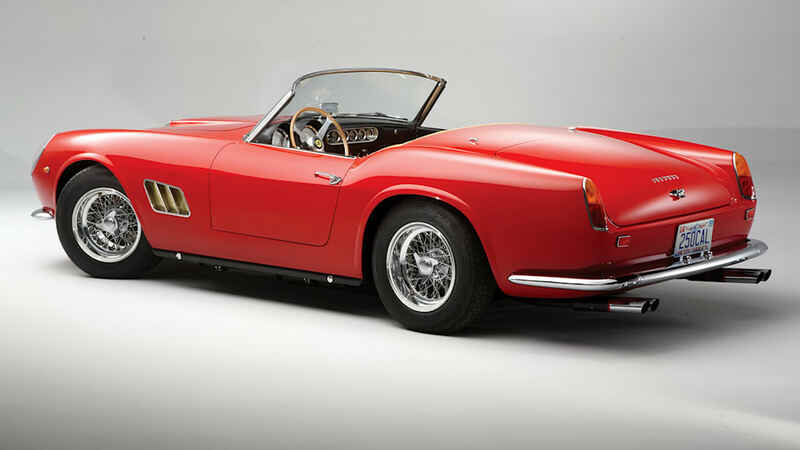 "A true dual-purpose automobile, the 250 GT SWB California Spyder remains one of the world's most coveted automobiles," says Rob Myers, Chairman and Founder, RM Auctions. "As one of only a very small group of covered headlamp versions produced, the example on offer is emphatically one of the most desirable open GT cars ever made, combining all of Ferrari's finest work: perfect design with tremendous performance." 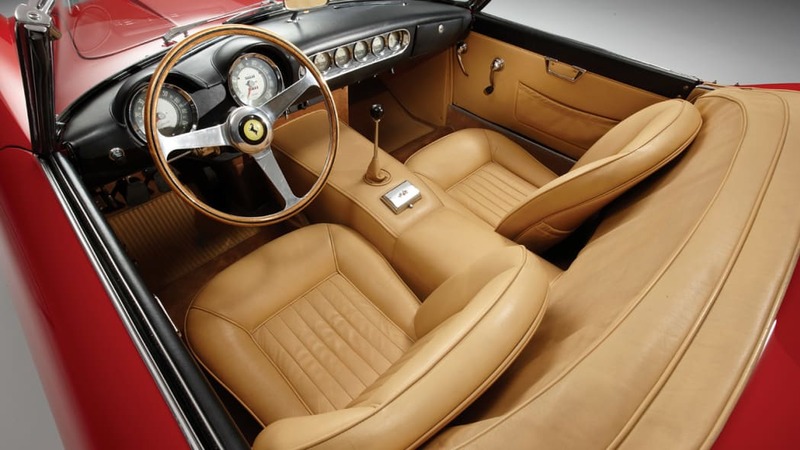 Ferrari Classiche certified and finished in the attractive color combination of Rosso Corsa over a tan leather interior, chassis 3119 GT was sold new in March 1962 through Jacques Swaters' Garage Francorchamps SA in Belgium, before being imported into the United States in 1970. The recipient of an award-winning restoration, it enjoyed a successful showing at the 40th annual Pebble Beach Concours d'Elegance in 1990, where a class award confirmed its authenticity, extraordinary desirability, and the high quality of its restoration. A matching-numbers example and professionally maintained over its known ownership, it is offered for auction ready to be toured or shown at the most exclusive venues around the world (Estimate: $7,500,000–$9,000,000). Myers adds, "The opportunity to acquire a short wheelbase California Spyder rarely comes along, particularly one of this pedigree and exceptional rarity. We are truly delighted to present this stunning automobile on behalf of its owner at our upcoming Monterey sale. 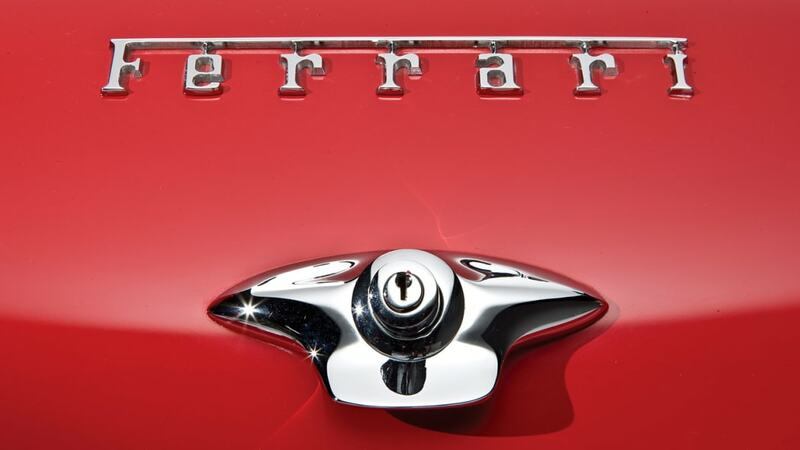 A magnificent example of one of the world's most revered Ferraris, we expect it to garner strong interest when it crosses the podium on August 18th." Continuing RM's global leadership in the presentation of important and historic Ferraris at auction, chassis 3119 GT is joined by no less than 13 other investment-quality Ferraris in Monterey, including the extraordinarily rare 1956 Ferrari 250 GT LWB Berlinetta 'Tour de France,' chassis 0585 GT, the very first 14-louver Tour de France built of a total of nine units and featured in the Hollywood classic The Love Bug, and the hugely valuable 1955 Ferrari 410 S Berlinetta, chassis 0594 CM, featuring striking, one-off Scaglietti Berlinetta coachwork. A full list of Ferraris on offer is available online at www.rmauctions.com/monterey/ferrari. A tradition spanning over 25 years, RM's highly anticipated Monterey, California sale, held during the same weekend as the prestigious Pebble Beach Concours d'Elegance, returns to the Portola Hotel & Spa and Monterey Conference Center, August 17–18. In 2011, RM once again achieved the highest results of the Monterey week, generating more than $80 million in sales, the highest auction tally ever achieved on the Monterey Peninsula. For further information on the 2012 sale, including a full list of entries and RM's digital Monterey catalogue, please visit www.rmauctions.com or contact RM Auctions at +1 519 352 4575.